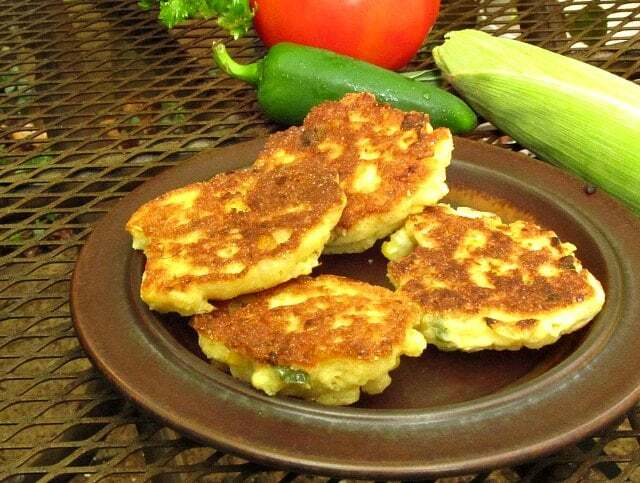 Double Corn Fritters, made with cornmeal, have twice the corn flavor, and no gluten! Crisp, but also tender and moist from the corn and other vegetables! Are you frittering away your corn? You should be! I originally published this post in October of 2014. This is a repost with some new pictures and some slight edits. I realized the other day that I’d gotten three ears of corn last week, not two, but we’d only eaten two… so what did I want to do with some corn that was just a little past its prime? Well – I’ve been researching pancakes, dumplings, muffins, and other things made with a savory batter (you’ll start seeing some of the results soon) so fritters were on my mind. 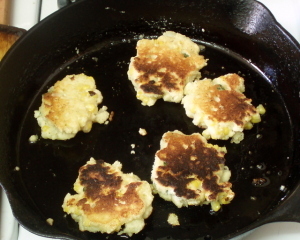 I’ve also been looking at traditional uses of a variety of grains and flours – buckwheat pancakes, corn dumplings, oatcakes – so it felt obvious that I should make these with cornmeal, since, well – corn. First, microwave the corn. I’ve taken to doing this routinely even when I’m going to cut the corn off the cob, but I only heat the corn for two minutes, not the five minutes I use for corn on the cob. This is just enough to create enough steam to soften the husk and the silk, making both much easier to remove. It also just begins to soften the kernels – they are still crisp, but they don’t fly all over the place when you cut them off the cob. Trim the ends, leaving it just closed, and remove the first few dry layers of husk, then microwave it for 2 minutes. I let it sit in the microwave a couple of minutes, then remove it to start cooling enough to handle. (Since I’m going to continue cooking it, there is no reason for me to deal with shucking steaming corn… I let it cool, and even pull it open a little to let steam escape.) When it cools enough, cut the kernels off the cob. It should be approximately a cup. (Use a full cup if you want to use frozen or canned corn out of season. 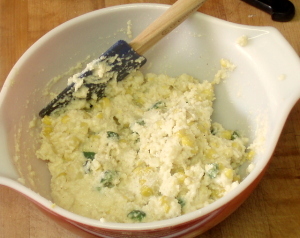 Thaw frozen corn before putting it in the batter.) Reserved the cob, to scrape later. Once you have everything ready to go into the batter, make the batter itself. 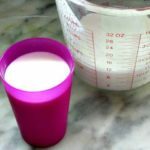 Beat an egg, and add half a cup of milk and a pinch of salt. Beat well. Then add a cup of cornmeal, mixed with a teaspoon of baking powder. Now, the cornmeal I use is stone ground – it’s a whole grain, including both germ and bran, and it is a much finer grind than many brands of commercial cornmeal – pretty much the same texture as flour. I’ve used it for years because it is whole grain… but the texture also makes it easy to use in baked goods. And, after some searching, I found a similar cornmeal here in Raleigh that was also gluten free. Surprisingly many of the brands of cornmeal here “may contain wheat” – if that’s an issue for you, be sure you read the label! 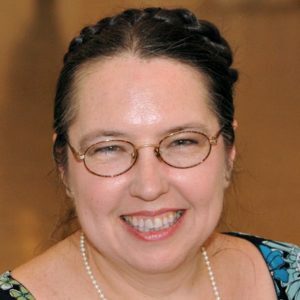 Sometimes I use yellow, sometimes white (which this happens to be) without any real reason either way – whichever is less expensive, or the first I happen to pick up – though I know many people do have a firm preference. 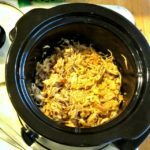 I have used it in recipes interchangeably with coarser meals for years, so this should work with whatever you have – but I want you to know what you are looking at in the pictures. Anyhow, mix the batter, and then scrape in everything left in the cob and stir that in. Mix in the onion and jalapeno, and the cut corn. Heated the frying pan, and add some oil – a little more than you would for pancakes, as you do want the oil to crisp the edges a bit. I use the classic way to know a pan is hot enough for pancakes – a drop of water dances a moment before evaporating – then scoop up spoonfuls of batter. I want small flattish cakes, so the middle cooks through. Like so many things, the timing here will vary – but flip them when the batter starts to look a little dry, rather than moist and shiny, which is a sign that it is cooking through, and will hold together well enough to turn. Cook it about five more minutes on the second side. For scheduling reasons, I made these in time for my own lunch, though Rich was out that day. So I had some (and good they were, too) and then reheated the rest in the toaster oven for dinner. 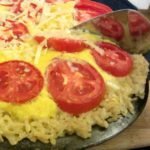 I would not microwave them – they’d be soggy… and the recipe doesn’t really divide, and… it serves four. So it is good to know they will reheat, if you’re cooking for just one or two (Proof of concept! Yeah, that’s the reason I gave you reheated leftovers, dear!) They reheated very nicely in 10 minutes at 400°. We ate them with a chicken vegetable saute, but I think they’d also be a lovely side dish with baked beans, or a grilled pork chop. 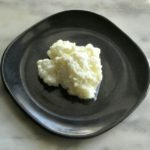 A dollop of sour cream along side makes a lovely addition – and adds moisture as well as richness and flavor! 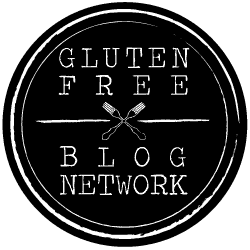 This recipe is gluten free, and whole grain. This recipe is ovo-lacto vegetarian. It is soft, tender, and moist for a bread product – but it is essentially bread. 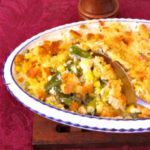 It should be easy to chew, and gave my family member no swallowing problems – the vegetables add moisture, as does the optional sour cream. I would not recommend it for someone with more serious issues. Trim the corn, and microwave for 2 minutes. Remove from oven and let cool. 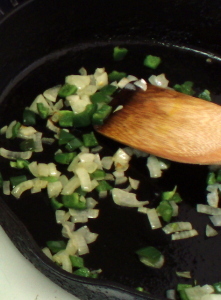 Saute chopped onion and chopped jalapeno until soft, let cool. 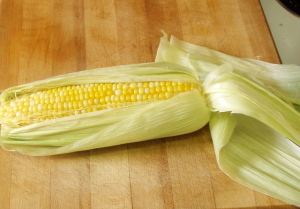 Shuck corn, cut off kernels, reserve cob. Beat egg. Mix in milk, salt, and any scrapings from the corn cob. Mix cornmeal and baking powder. Add to milk egg mixture, mix lightly. 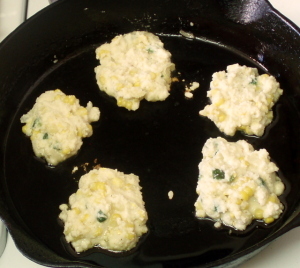 Stir in corn and onion/jalapeno mix until all vegetables are lightly coated. Heat pan, add oil. Drop batter into pan by the spoonful. Flatten slightly if needed. Cook until batter starts to dry and cook through (5-10 minutes) then turn over. Cook until second side is brown, and middle is cooked through. I love fritters! making them with corn is a great idea! Perfect summer food! 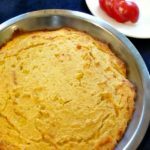 What a delicious recipe and perfect way to celebrate the corn season! I love the fact that they are gluten-free too! I have never tried corn fritters. Seeing that it is simple to make and that it is packed with delicious vegetables, I would want to try it now. I've never had corn fritters before, but my husband absolutely loves corn. I'll have to try and make these for him - I'm sure it will be a hit. Your recipe looks simple enough but full of flavor! Wow what an easy and delicious looking recipe! Can't wait to try these fritters! Oh this looks so delicious. They look so crunchy and full of flavor, I will try them for breakfast tomorrow! You are so corny! 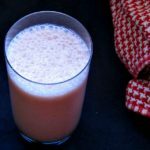 Love this recipe and that it is gluten-free. I can see myself making this year-round. Right now, I'm thinking with some pan fried fish. Yum, Yum!! These look so tasty good, I haven't had any in such a long time and need to make them again soon! YUM! These look SO GOOD. Fresh summer corn is delicious in any way shape or form, but everything is always a little better when it's fried! 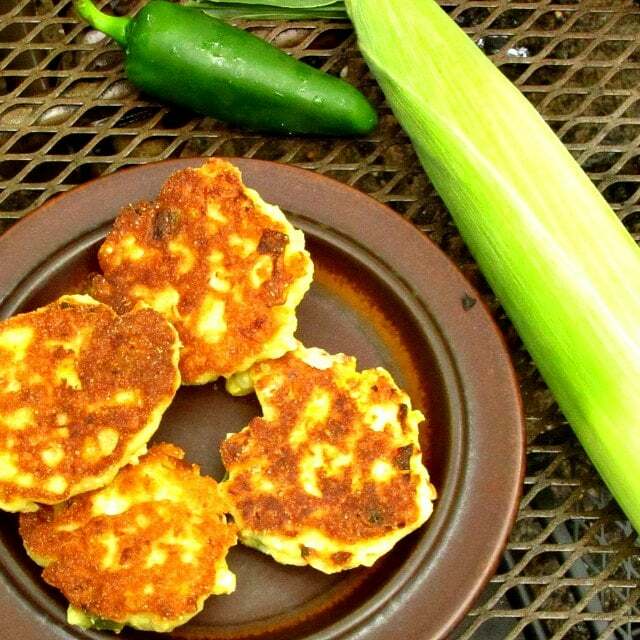 Corn fritters are so satisfying, and these look super crisp and delicious. Can't wait to try them! These look so delicious! 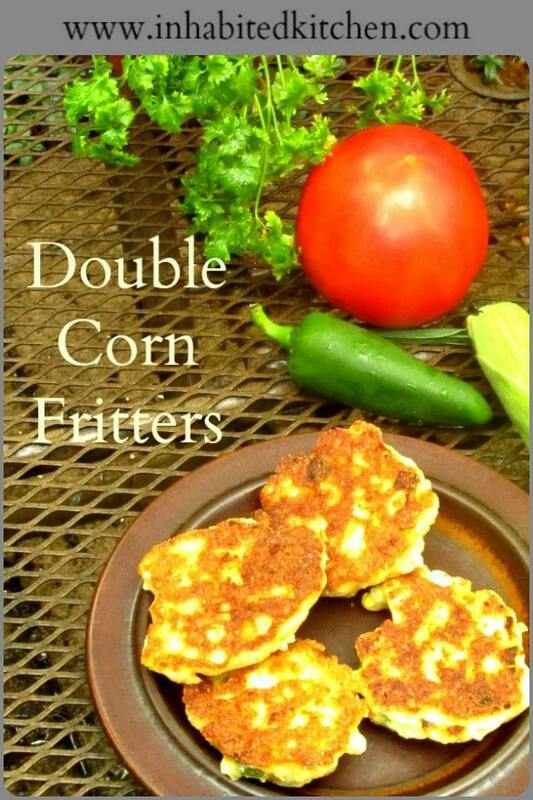 I love making fritters and double corn just makes me happy!! Very easy recipe and you show how easy these are to make ... perfect!